Redemptorist Brother Thomas Robert Rochacewicz was born on June 17, 1944 in Montclair, New Jersey. He professed his first vows on August 2, 1964, and made his final profession on August 2, 1968, in Ilchester, Maryland. He died peacefully amidst the prayers of his confreres on May 10, 2015, at St. John Neumann Residence/Stella Maris in Timonium, Maryland. He was 70 years old. 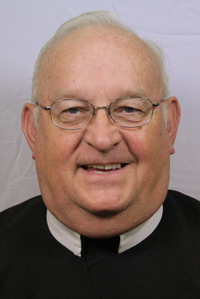 Read or download Brother Thomas’s full obit here.